Abuja, 12th April 2019. The Commission of the Economic Community of West African States (ECOWAS) is confident that the renewed efforts in tackling the menace of drug abuse at the national, regional and global levels will yield positive results in no time.The President of the Commission Jean-Claude Kassi Brou expressed the optimism at the opening of the ministerial session of the Inter-Ministerial Drug Coordinating Committee (IMDCC) meeting holding at the ECOWAS Commission on the 12th of April 2019 in Abuja, Nigeria. The meeting, he pointed out, provides an opportunity for stakeholders to take stock of the achievements made, challenges as well as the additional collective efforts required to address the problem of drug abuse, illicit drug trafficking and related organised crime in the region. 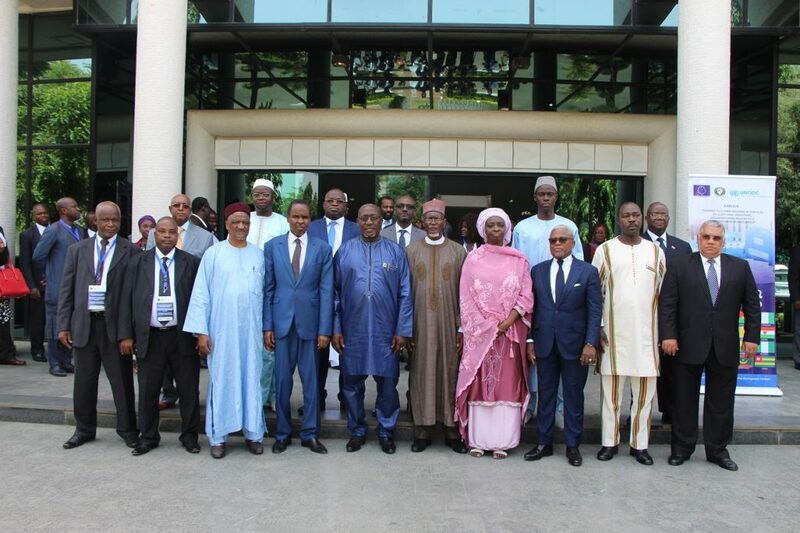 He said the monitoring Missions embarked upon by the Ministers to 15 ECOWAS Member States and Mauritania, the collection of national epidemiology data on illicit drug use and supply and the review of the legal and institutional frameworks on drugs control and organised crime as well as the ECOWAS’ political declaration will stand West Africa in good stead as the regional leaders make durable progress on the issue. He also urged the ministers to deliberate faithfully on the way forward as a way of achieving a strong and viable West Africa, committed to a drug-free community. According to him, ultimately, the people of the region are looking forward to the social, political and economic development of the region once the drug menace has been tackled. In a keynote address, the Attorney-General and Minister of Justice of the Federal Republic of Nigeria, Mr. Abubakar Malami represented by the Special Adviser to the President on Narcotics Mr. Ahmadu Giade maintained that substance abuse is the catalyst for drug trafficking as drug traffickers fuel other crimes such as money laundering, terrorist financing, destruction of families, the fabric of society, breeding of violence, wide spread corruption, undermining of state institutions, among others. 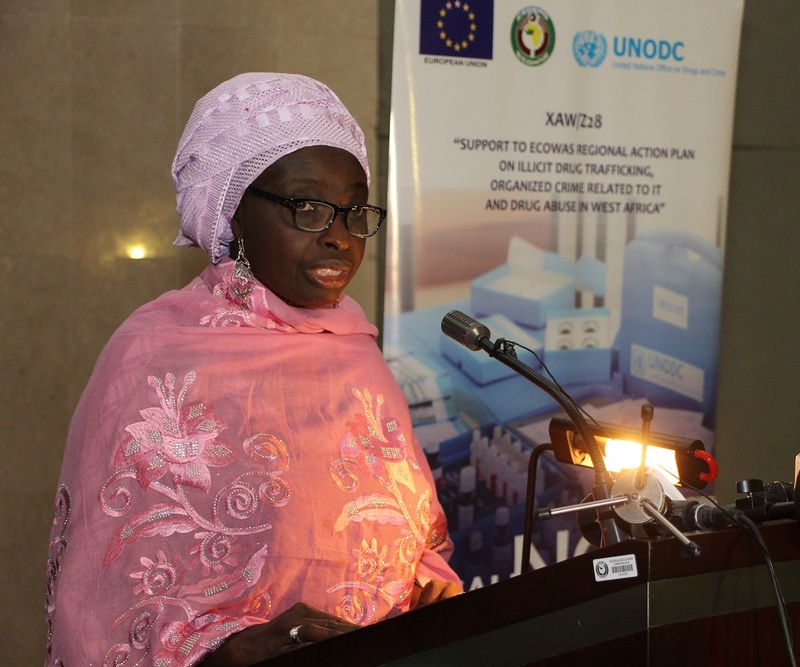 Stressing that the government of Nigeria is on top of the situation, having enacted enabling laws against the scourge, he noted that Nigeria is also partnering international organisations such as ECOWAS to ensure that best practices prevail in the fight against drug abuse, trafficking and violent crimes. He however listed the disturbing new trends of the scourge to include the emergence of clandestine amaphetamine-type stimulants laboratories, new psychoactive substances, proliferation of cyber criminality as well as the dark net. Bringing the meeting to a close, the minister of Regional Integration of Cabo Verde Julio Herbert Lopes thanked delegates and other participants for the diligence brought to bear on the discussions. The validated document emanating from the meeting is receiving final signatures. Chaired by the Minister of Internal Affairs of Sierra Leone Hon Soloku Amin, the recommendations of the Ministers responsible for the subject, stemmed from their substantial deliberations on the presentation of the ECOWAS Supplementary Act on Drug prevention and control in West Africa as well as the report of the outcome of the 12th Experts Meeting of the IMDCC which held from the 9th to 11th of April 2019.